A Sierra Vista area State Senator has introduced legislation that would circumvent current law by easing requirements that new developments must show the availability of a 100 year supply of water. This will clear the way for approval of developments, e.g., the massive development proposed along the San Pedro River south of Benson. It is hard not to view this as a death sentence for our river and the rural character of our area. Arizona Audubon is organizing comments on the proposed legislation. In this post, they explain how you can go about registering comments on this issue with our State legislators. 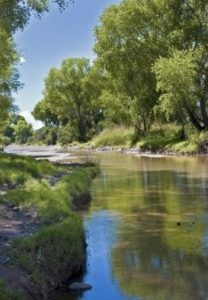 This entry was posted in Advocacy, River Protection by FSPR Contributor. Bookmark the permalink.